Fujifilm Corporation announced received a favorable Final Determination in its United States International Trade Commission (ITC) case against Sony Corporation. The ITC affirmed the ruling by administrative law judge David P. Shaw in favor of issuing a limited exclusion order and a cease and desist order directed at Sony Corporation and its affiliates. The ITC found that Sony is unlawfully importing into the United States certain magnetic data storage cartridge products that infringe a Fujifilm U.S. patent. 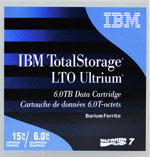 Based on the favorable Final Determination and following a sixty-day Presidential review period, Customs and Border Protection will specifically prohibit from importation into the United States Sony's infringing products, at least including its Linear Tape Open (LTO) Ultrium 7 cartridges. 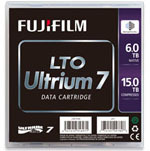 Fujifilm is confident that it has sufficient capacity to satisfy demand for LTO-7. 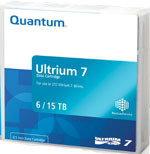 Furthermore, it is committed to offering technology at competitive pricing as it understands that other storage options are available to its customers. Fujifilm has made, and will continue to make, significant investments in R&D and United States manufacturing to advance tape technology. 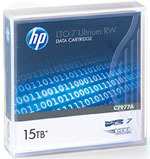 It will continue to vigorously protect its domestic industry and IP.